Top Toy Gift Ideas for 4 Year Old Children! What do you give a 4 year old child? At this point they already have their own personality and they are definitely ‘on the go’ and very active all day long! There are not enough hours in the day for their adventurous spirit! So what are the best toys for 4 year old boys and girls? Best Presents for 4 Year Olds! How about a beautiful art table? Are you looking for the best gift ideas for a 4 year old child? 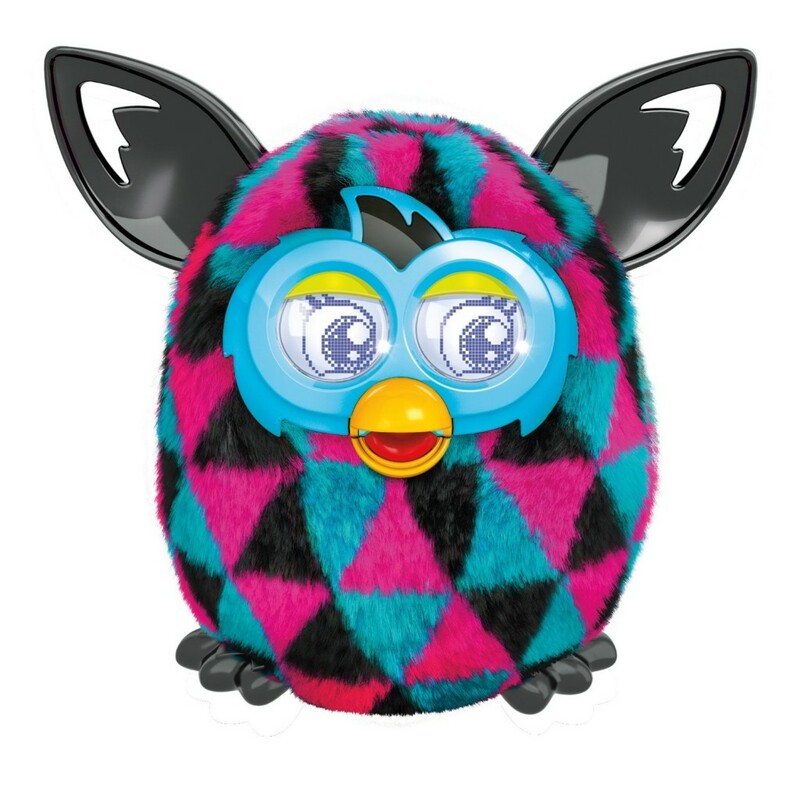 I absolutely love doing extensive research on fun toys for kids and I think gifts for 4 year old children can sometimes be very tricky! 4 year old children can no longer be considered ‘toddlers’ obviously, but they are not big children either! Sometimes a toy will be too difficult or too big for them and a toddler’s toy will be too boring or small…. So what are the best presents for 4 year olds? Art tables make great, fun gift ideas for artsy 4 year old children! It is the perfect gift for them to let their imagination soar! They will be able to draw, paint, color, create stories and much more! How about a Cool Electric Car? Best 4 Year Old Toy Gifts! I always say that you can almost never go wrong by giving a (lucky) child a beautiful electric ride-on car! In my humble opinion, cute electric cars make the best gift ideas for 4 year olds and smaller children! Just make sure the electric car for kids you are getting is not a toddler’s car! 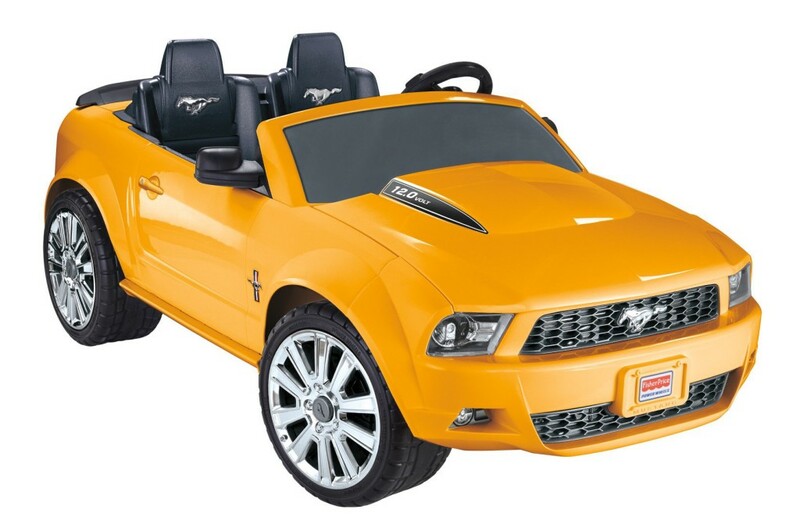 This gorgeous yellow Ford Mustang ride-on car is a great option for your 4 year old boy! 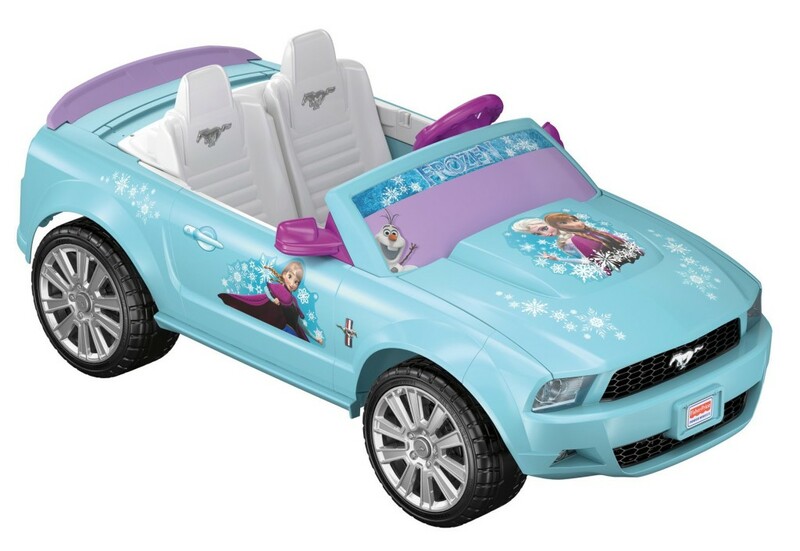 Cute Disney Frozen Mustang Ride on Car for Girls! If your 4 year old girl LOVES Frozen, then this will be the best birthday gift idea for her ever!! Her very own ‘Frozen’ electric car! Can you imagine her face when she gets this?? 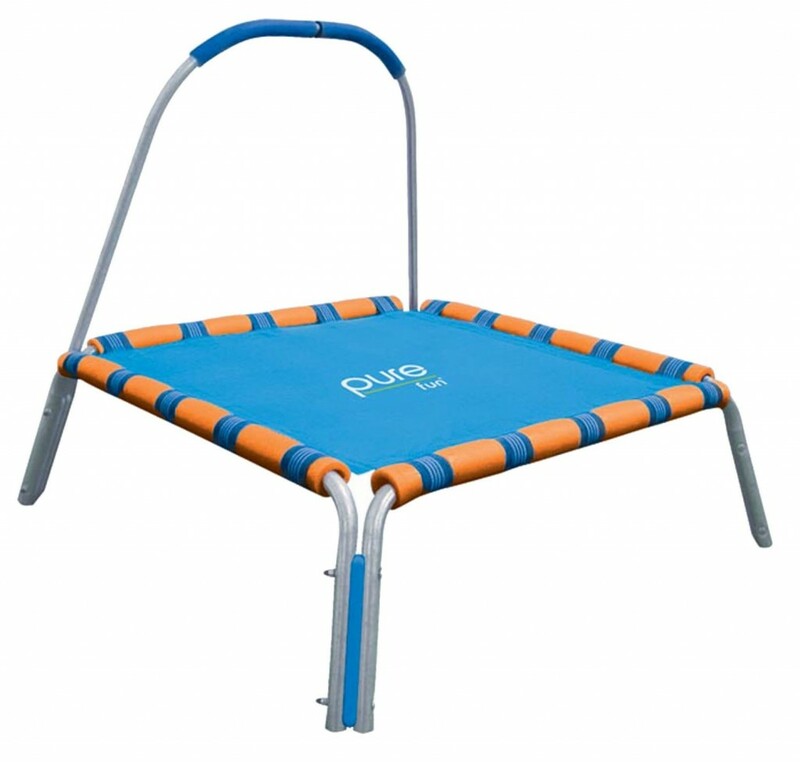 Child Trampoline: Perfect 4th Birthday Gift Idea! 4 year old children LOVE to jump! When my daughter was 4 she wouldn’t stop jumping! They have amazing energy and we get tired just by looking at them jump! That’s why a child trampoline is the perfect gift idea for a 4 year old child, boy or girl! This kid’s jumper is very affordable and great to have anywhere in the house! You can have it outdoors during summer, so they can jump in the sun, or indoors during winter! How about their first bicycle? Best 4 Year Old Children Gift Ideas! At 4 years old children are more than ready to get their very first bicycle! It’s almost like a rite of passage! Every child wants to ride a bicycle! 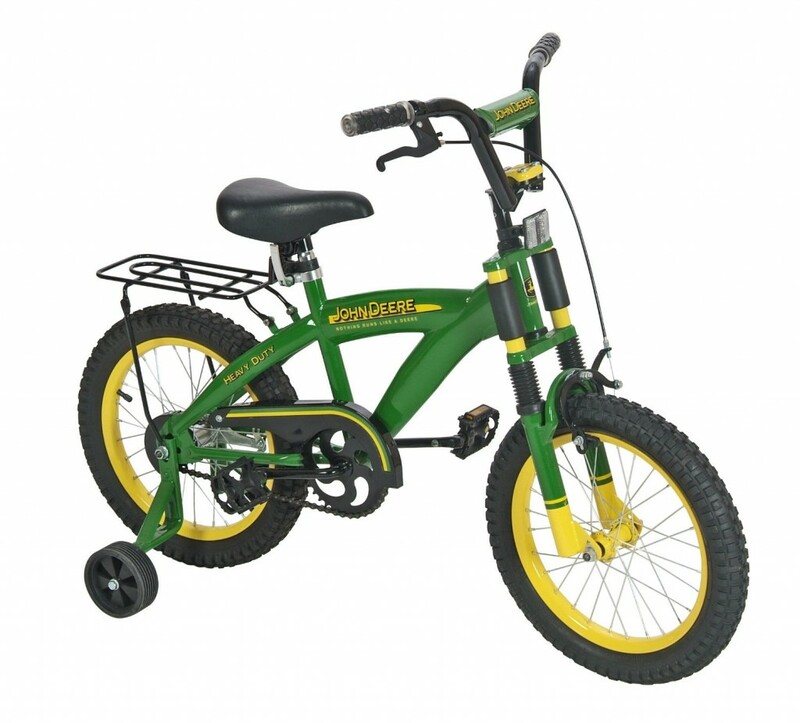 This is a great first bicycle for little boys ages 3, 4 and 5 years old! It’s fun, cute and very sturdy! When my daughter got her first bicycle she was around 3 years old and she learned to ride it inside the house first, and then we let her ride outside after she felt confident enough! Cute Bicycle for Little Girls age 4! 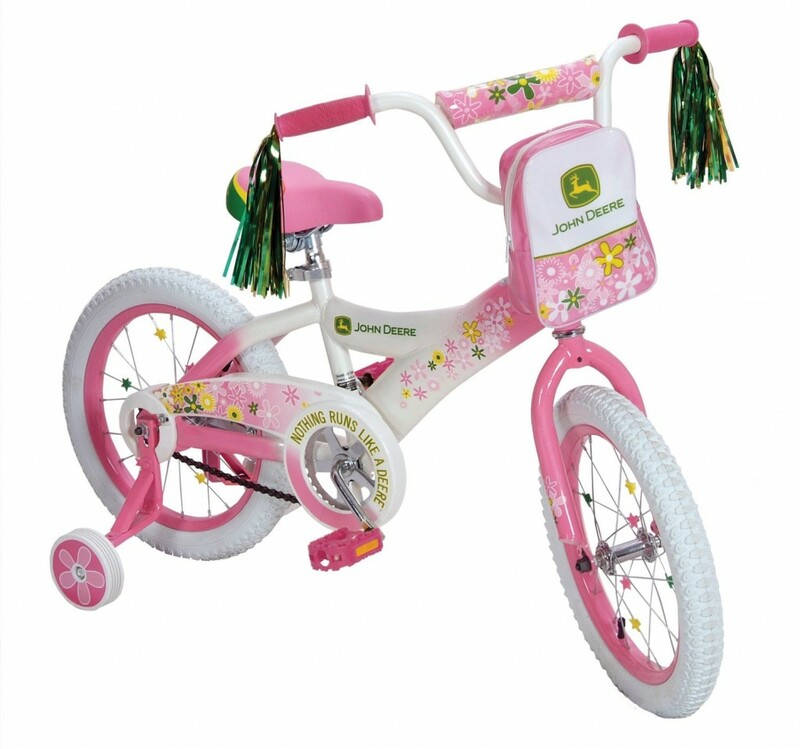 How adorable is this girly bicycle for little girls age 4 years old? I love the cute floral design! It is the perfect first bicycle for your little girl! She will be riding it in no time! 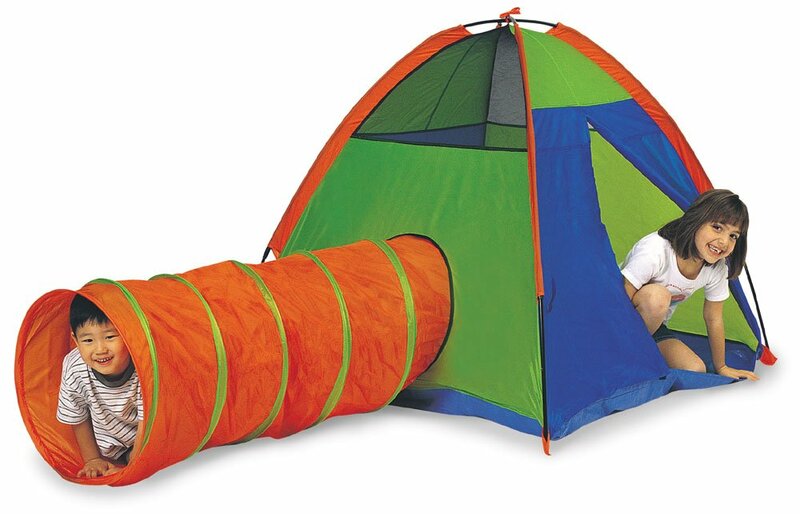 Best Outdoor Gift Idea for 4 Year Old Kids! 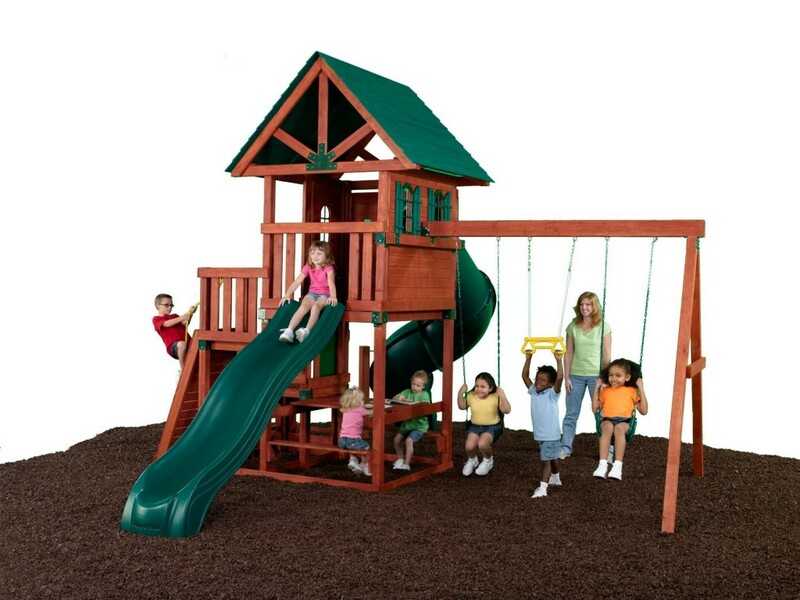 One of the best outdoor gift ideas for children ages 4 and up is a fun swing set, of course! Even better if you have multiple children! They can all play together and burn off all that energy! 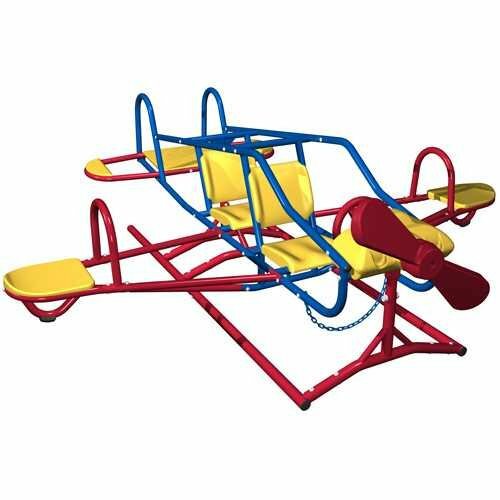 This is a complete, ready to assemble ultra-fun swing set that comes with two awesome slides! It will fit kids ages 3 and 4 up to 9 or 10 years old! Fun 4 Year Old Child Birthday Gift Idea! It spins and bounces and it is plain crazy!! 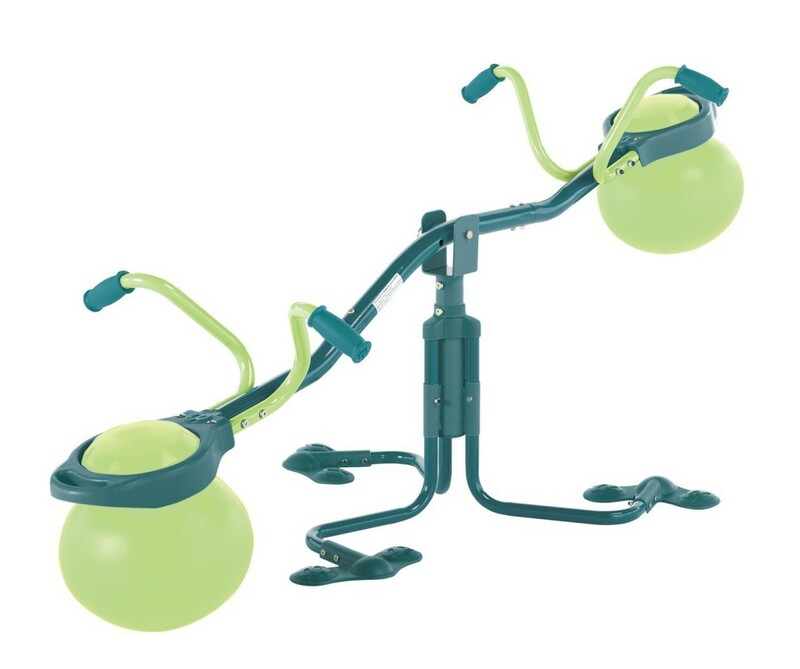 This crazy hop bouncer seesaw kind of toy is a great gift idea for your 4 year old!! Great Outdoor Gift Idea for 4 Year Olds! Ok, there is no denying it now…. Outdoor toys make the best 4 year old gifts!! Kids need to play outdoors!! They need the fresh air and the sun and the contact with grass and trees and wind!! Needless to say, this awesome teeter-totter is a wonderful outdoor toy for your children! It will fit kids up to 12 years old!! Fun for all brothers and sisters as well! Fun ATV for Kids ages 4! 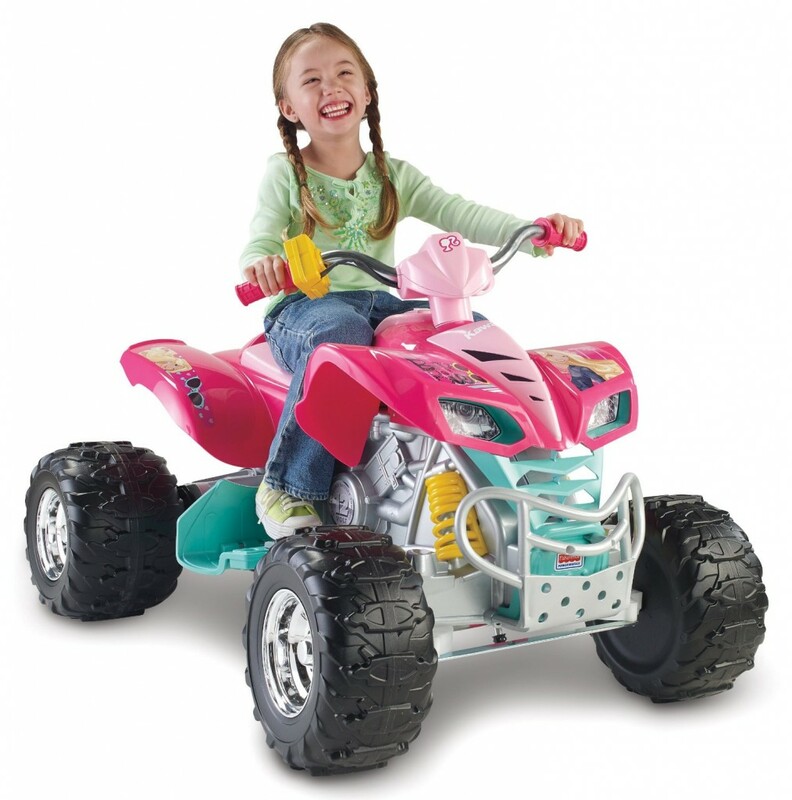 How about buying your 4 year old his or her first ATV? It is electric and will ride on grass and other tough surfaces! It is the perfect riding toy for any 4 year old children! You can get this beautiful pink quad for your little girl or the green one for your little boy! Many grand[parents said it was the best birthday present for their 4 year old granddaughter! 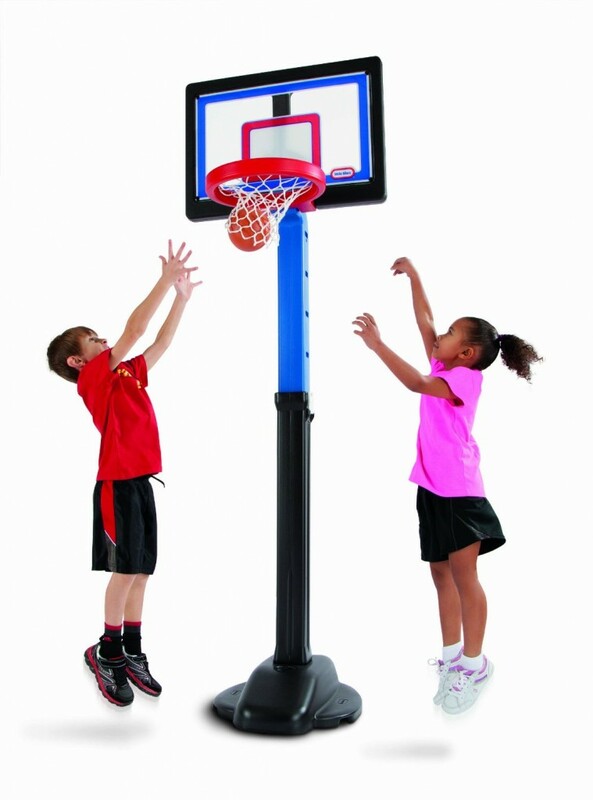 Another excellent gift idea for a 4 year old child is this fun basketball set! It is fully adjustable and you can increase the height as your children grow! It’s a great way to keep them entertained indoors or outside! How about a Fun Bouncing Castle? Fun Birthday Present Ideas for Children Age 4 Years Old! My daughter got this same inflatable bouncing castle on her 4th birthday and it was an immediate hit!! Children this age love to bounce all day long! This will be their new ‘home’! 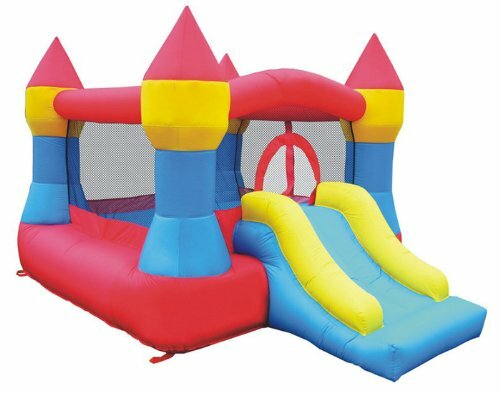 This cute and colorful inflatable castle is also affordable and you can have it indoors too if you prefer. 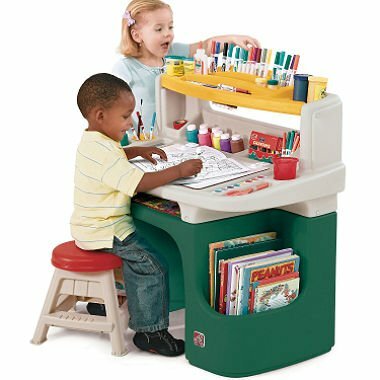 Fun Activity Desk for Kids! 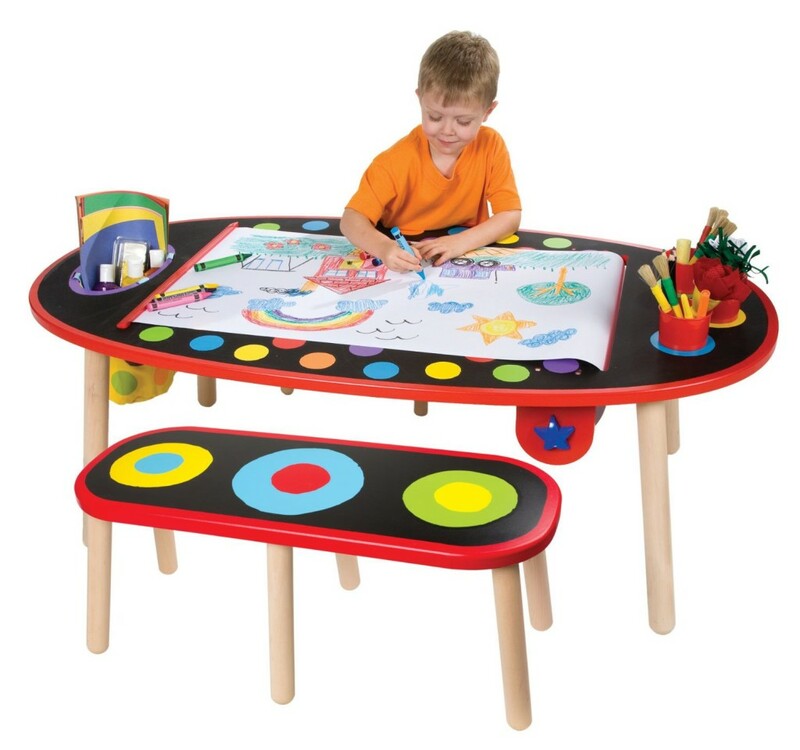 A fun activity desk is also a very cool birthday gift idea for 4 year old children because they can practice their writing, drawing and coloring skills! Small kids love drawing and coloring at this age and it’s a great past time! This cute and colorful desk will look beautiful in their bedroom! Fun Learning Tablet for Kids! 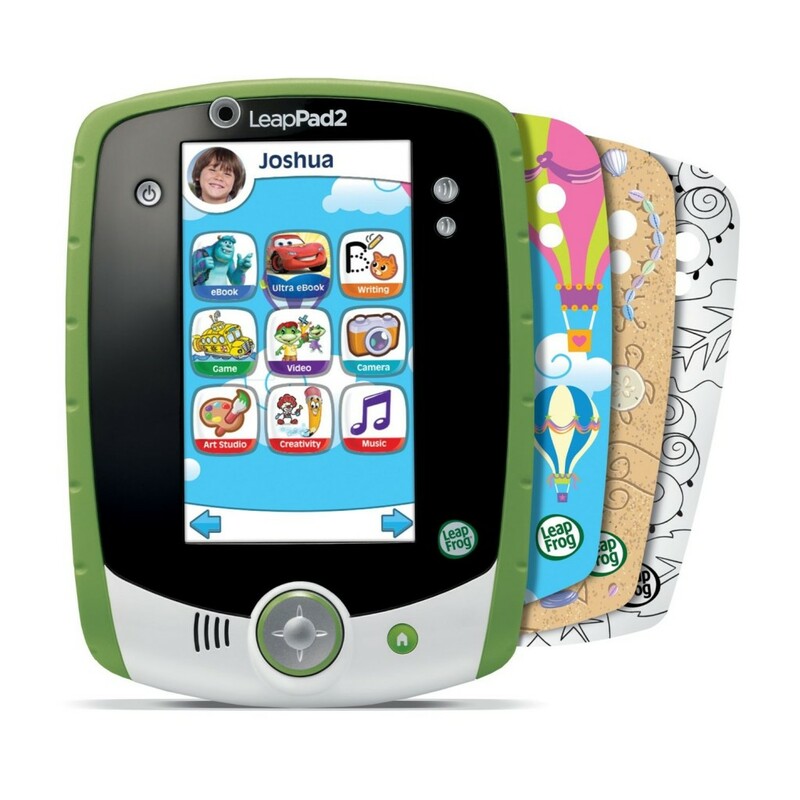 If you are looking for a fun electronic gift idea for your 4 year old child, then you are going to love this cute learning tablet! It is perfect for kids ages 3 to 9 years old! There is even a camera and video recorder too! They are gonna love that! It comes with nine apps and 10 fun sticker skins! 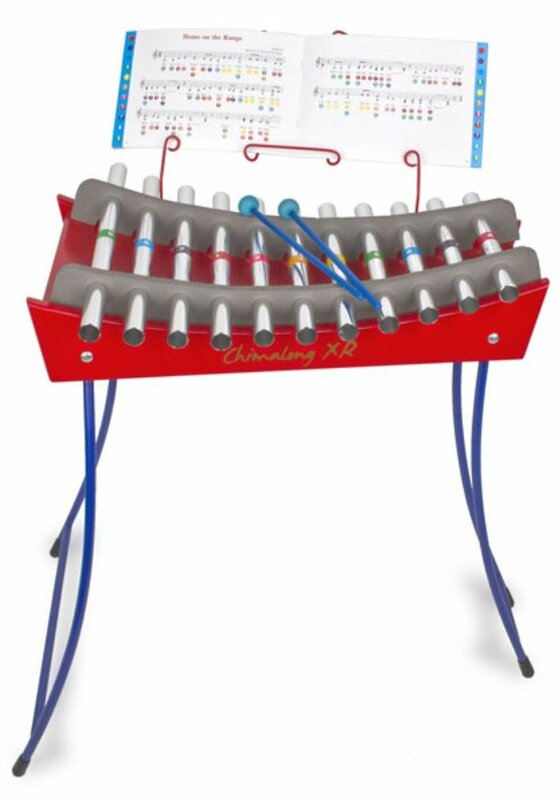 How about a Fun Musical Instrument? Great Presents for 4 Year Olds! Now let’s get musical!! Musical! I want to get musical! Let’s get musical! Anyways, my point is, musical toys are great 4 year old gifts!! It is never too soon to start encouraging your kids to play an instrument! Music makes kids more intelligent did you know that? Kids that play a musical instrument from an early age will do better academically! Besides that, we know that all kids love to make noise! 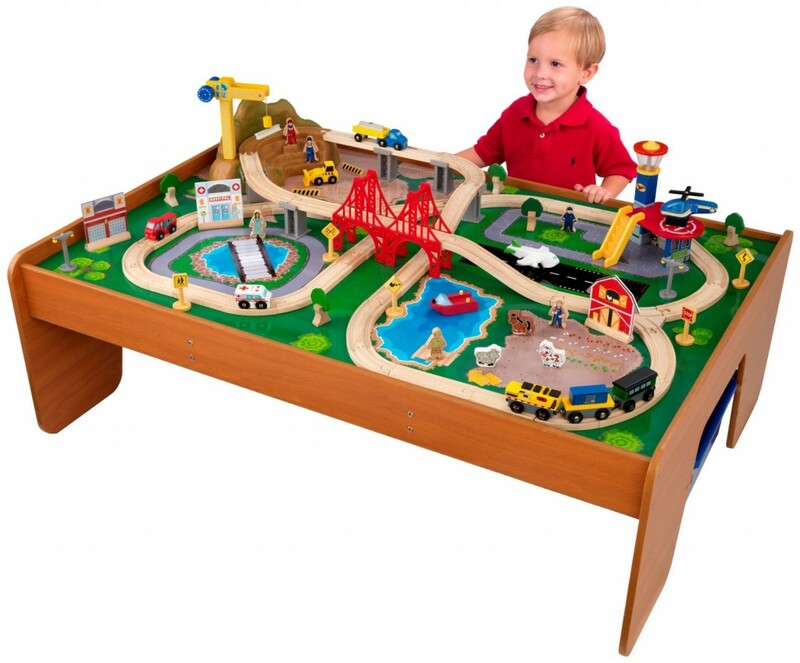 If you are looking for a great birthday gift idea for a 4 year old boy, how about this fun train set table? This table is made of wood, so it’s very sturdy! It comes with 100 fun colorful pieces and also two large storage bins! Kids love setting it up! There’s even an ‘airport’ with a helipad and a hospital with ambulance! I predict hours and hours of fun! *I hope you had fun here choosing a cool 4th birthday gift idea for your child!